As many of you know, today is the 25th anniversary of the nightmare scenario that occurred on April 26, 1986 in Pripyat, Ukraine. 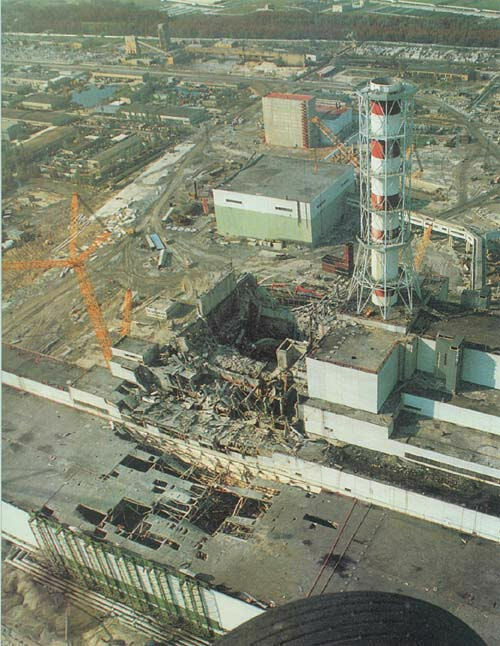 The Chernobyl nuclear power plant performed an experiment that day that somehow caused massive catastrophic failure of critical systems which then caused a catastrophic explosion of the reactor and reactor complex. Highly radioactive fallout then traveled all over Europe, Russia, Belarus, and other places in that region of the continent. Look at that image below. 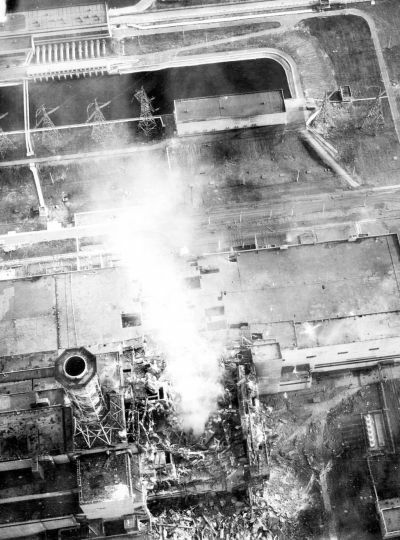 That must have been one unbelievably crazy explosion – I remember designing a play in undergraduate school called Wormwood, about the experience of the firefighters (who were called “Liquidators”) at Chernobyl (which means Wormwood, funny enough), fighting this crazy nuclear fire. I think back on that point in my design career wondering if even knowing what I know now about design now if I could have ever made that fireman’s monologue creepier. What a nightmare. A nightmare. Sound anything like what’s happening at Japan’s Fukushima Daiichi nuclear power plant damaged by the earthquake and tsunami a few short months ago? Perhaps not on the same scale, and let me say that it’s not on the same scale YET, but the fallout and problems of Chernobyl are evident in the disaster that’s taking place at the Fukushima plant. It really, truly is a nightmare. 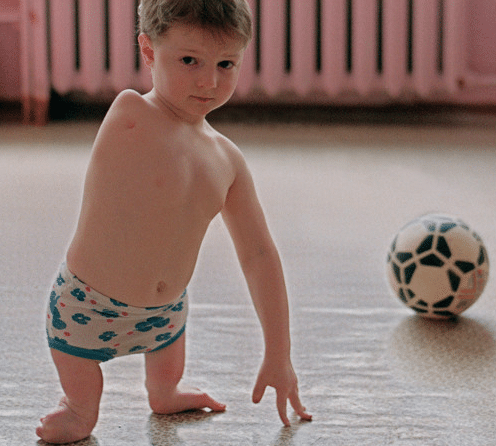 Children of children who were exposed to radiation from Chernobyl are experiencing terrible symptoms and mutations, cancer and leukemia. Thyroid cancers. Bowel cancers. Blood cancers. Babies from people exposed to the radioactive fallout are born mutated, changed, with a short future. I find that I can’t look at that little guy without wondering to myself if his little life is really worth electricity for the rest of us from the damage of nuclear power. You have to understand something – I am not completely against the use of nuclear power in total – there are many uses for it, from medical to science and engineering, and on a smaller scale, generating electricity and light. The use of sustainable energy sources needs to have a larger slice of the energy grid worldwide so that we can depend less on nuclear power and more on sustainable technologies like solar, wind, wave, and geothermal systems. Look at Japan right now – Fukushima 1 (dai-ichi means Number One) has been classified as some rating on a scale that we’ve made up to show the severity of nuclear disasters. 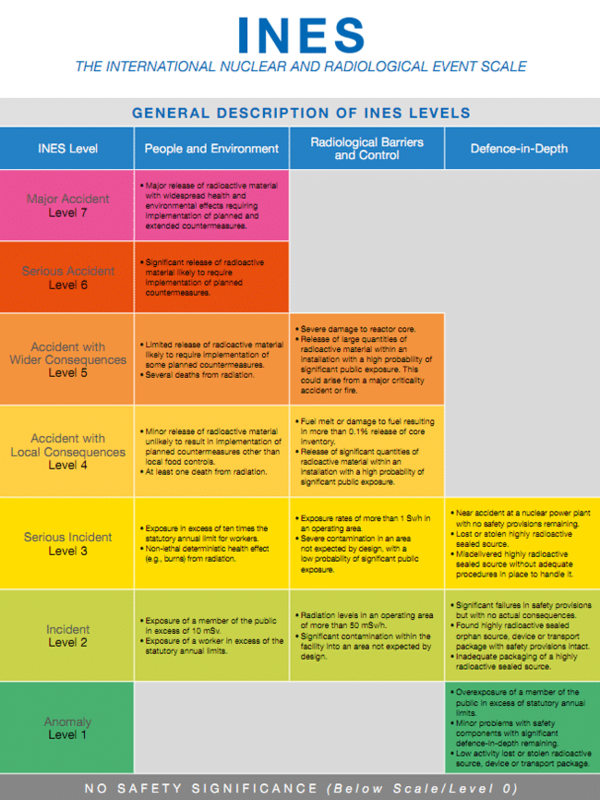 The Fukushima Dai-ichi disaster has been given a seven on this scale, which is called the INES Scale, or International Nuclear and Radiological Event Scale. There have only been two accidents worthy of being a seven on this INES scale – Chernobyl, and now Fukushima Dai-ichi. This scale is a bit daunting. The PDF of the INES rating scale is here, and it’s a PDF link. I’ve grabbed some screenshots from it, but I recommend reading through it, as it isn’t a long read. Major release of radioactive material with widespread health and environental effects requiring implementation of planned and extended countermeasures. Over 350,000 people were evacuated and resettled due to Chernobyl – and if you’ve looked at the map around Pripyat, the area wasn’t as populated as the area around the Fukushima Dai-ichi area is populated. Have you placed Japan next to Russia? There just isn’t a lot of land mass there to spare! Can Japan afford to have a space that large unoccupied for that long? There are 130 million people in Japan – where are a quarter to a half of those people going to go if the land is deemed uninhabitable? I would be remiss if I did not admit that there are some serious issues to overcome with nuclear power generation, and even more remiss if I were to ignore the fact that right now it would take a pretty towering investment both in money and in land mass in order to switch Japan completely over to sustainable tech for its power generation. The thing about nuclear is that it is pretty cheap up front, and in a very small dedicated space you can generate a lot of power, and 24/7 power, too – at some point, solar will stop charging for the day and you then rely on batteries, wind relies on – well – wind, and wave and tidal relies on the tides. Geothermal power seems to be a very good opponent to nuclear; there is a whole lot of heat waiting for the taking for myriad uses under the ground – it could replace the need to generate heat with nuclear materials. What’s the answer here? Well, my answer is that I have no f***ing idea. I know that we have a problem. You know that we have a problem. What are we going to do about it? We need to be looking at energy storage technology, distribution technology, lighting technology, electrical technology, and somehow developing a way to tech around our energy problems. Don’t you love how completely generalized that last statement was? I know, but I also know that I wish in my heart that I could just sh** kilowatts for the world to have, too. Previous articleThe Switch LED A-Lamp – Definitely the Most Unique LED A-Lamp I’ve Seen!